Search for homes for sale in Cranberry Creek, an active adult community in Little Egg Harbor NJ. Cranberry Creek, which is an Active Adult community, was built between 2003 – 2008. There’s a homeowners association, therefore a monthly association fee will be assessed, which covers lawn maintenance and snow removal. As a result, you won’t need to perform this chore. Additionally you get use of the common areas and the clubhouse. 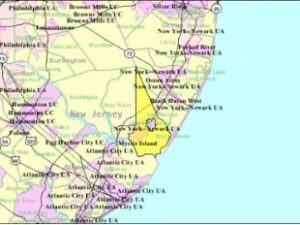 The community is in a great place because it’s nearby to Long Beach Island, Atlantic City and Smithville. Enjoy local activities such as fishing, boating, golf, shopping, dining and much much more. Also, your pets are welcome here. Cranberry Creek home sizes range up to 2,300 sq ft and offer either 2 or 3 bedrooms, 2 baths and 9′ ceilings, And, there’s either a 1 or 2 car garage. In fact, all homes were built to Energy Star specifications. When homes are for sale, the asking prices are between the upper $100,000’s to the upper $200,000’s. A one-time fee must be paid by the buyer at closing to the association. The clubhouse has bocci, tennis and more. When the weather warms up, swim in the heated in ground pool. Additionally, there’s an exercise area so that you can keep in shape. At the clubhouse you’ll find trips and socials in addition to many clubs. And there is a monthly newsletter to keep you up to date. You can be as active or as in-active as you want. Cranberry Creek has a great location because The Garden State Parkway, exit 58, is nearby. Ocean Ride also provides bus transportation within Ocean County, with 12 bus routes connecting key residential areas with popular destinations such as shopping, employment, social services and connections to other means of transportation.